We had all the usual festivities planned: there were new rules, drawing activities and homemade artwork; but this time we had a few extra surprises up our proverbial sleeve. After a brief (but nonetheless rambly) introduction for the uninitiated, we gave away an avalanche of awesome goodies, from Harmony Korine’s beautiful Collected Fanzines book, to copies of his movies, to an old VHS copy of Mel Gibson’s Ransom. 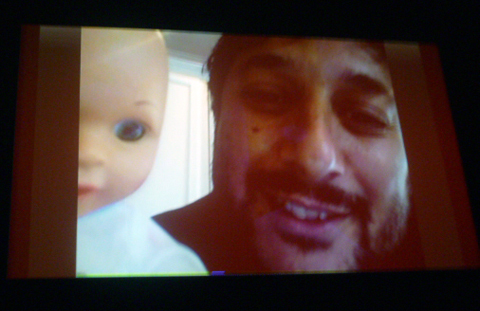 It’s only Harmony motherfucking Korine via motherfucking Skype link! (We asked where he got the baby. Apparently his wife ‘just popped it out’.) Each volunteer was asked to do their best Trash Humper laugh, after which Harmony picked the best (‘none of them are very good’). 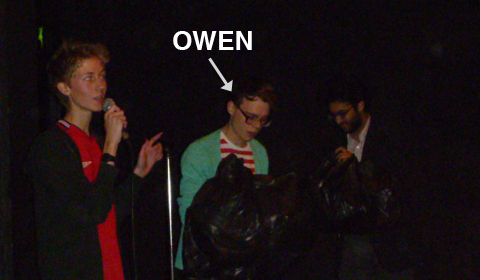 A man in a stripy shirt called Owen won, which was well deserved as he’d already had to take over hosting duties for 30 seconds while I ran out to get bin bags. I’m just gonna jerk it. 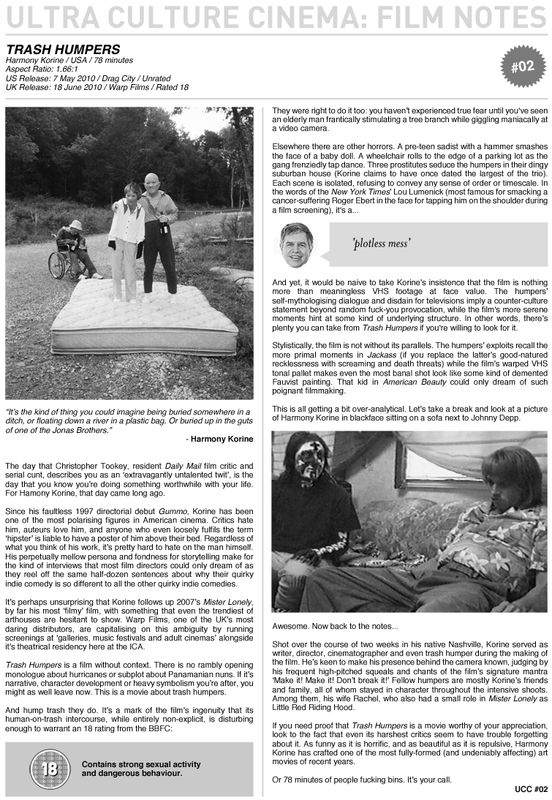 Trash Humpers was then shown, and was enjoyed by almost everyone (there were only 5 walkouts – a very good figure for the movie in question). On a personal note, it was my third viewing of the film and I couldn’t believe how quickly it flew by. It really does have to be seen to be believed. All in all, I think it was a great night. This will be hard to beat. 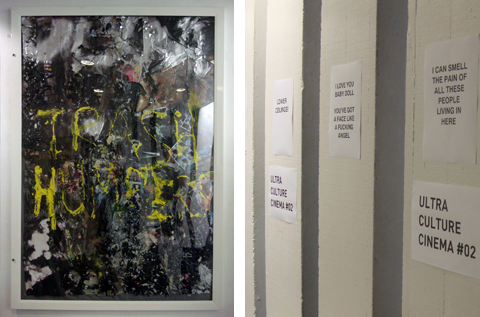 … for providing prizes for the night, and thanks to David Cox, Tej Jouhal, Charlie Lyons, Joe Bannister, Joe Pitt-Rashid, Joe Venning, Anthony Ing, Katy Dillon, James McLoughlin and Harmony Korine for helping to make the night go off ‘with a bang’. 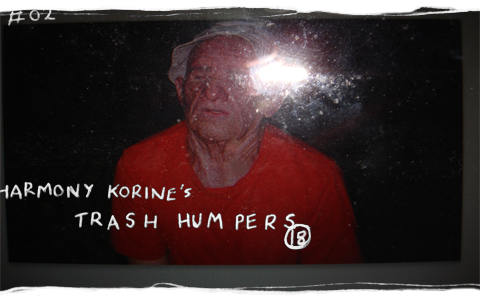 – Download our film notes on Trash Humpers. – A review of the night by Neil Alcock. – A review of the night by Kirsty Dootson.